The first two steps involved in managing an estate are obtaining the will to be filed, and designating the personal representative. A valid will describes how the decedent’s property will be distributed. The original will must be filed with the Register of Wills office in the county where the estate will be opened. 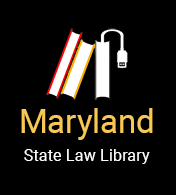 If there is no will, Maryland law will control how the decedent’s property is handled and allocated, and these laws are referred to as “intestacy laws.” In some cases intestacy laws control even when there is a will in the event that there are problems with a will (e.g., the decedent did not sign the will, witnesses did not sign the will, there is fraud or wrongdoing, etc.) or if a will did not include all of the decedent’s property. When figuring out who will act as the Personal Representative managing the decedent’s estate, you should first see if the decedent named anyone in his or her will to serve as personal representative. If the decedent does not have a will or the decedent’s will does not name a personal representative, Maryland law determines who has the right to take on this role. Generally, the decedent’s surviving spouse and children (biological or adopted) have the right to take on this role. If there is no surviving spouse or children, the decedent’s biological or adoptive parents are next in line. If there is no surviving spouse, children, or parents then the decedent’s biological or adoptive siblings are next in line. If someone with the right to serve as personal representative under Maryland law wishes to let someone else take over in this role, he or she may have someone else appointed by filing a form, called the “Consent to Appointment of Personal Representative” Form. All people who have priority over that individual must sign this form. Once the appropriate individual is determined to serve as personal representative, that person will apply to be officially appointed as personal representative when filing “Petition for Administration” (small estates). When he or she is officially appointed later in this process, the individual is not only in charge of completing the remaining steps of managing the estate, but also must meet several deadlines under Maryland law throughout the process which are described in fuller detail later in this article. The next step in the process is determining whether the estate qualifies as a small estate or a regular estate. Small estates are simpler to administer than regular estates.